We run a fast and effective retrieval service for Annexe materials. If you want to consult the whole item we can have it sent to a convenient library location via our twice daily courier deliveries, and if you are wanting a chapter or article we can scan and deliver a digital copy directly to your inbox. Occasionally, however, you may want to browse through a larger selection of Annexe materials which include: lesser used books, back issues of journals,reference maps and atlases, newspaper indexes and microfilm. 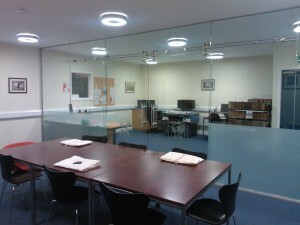 The Annexe also stores selected material from the Library’s Special Collections, University Archives and Lothian Health Services Archive (LHSA). Perhaps you want to search through part of a journal run for relevant articles or browse the microfilms for a couple of years’ worth of newspapers. 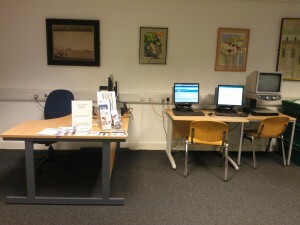 If so you’ll find a well-stocked kitchen, friendly staff and plenty of study space to spread out as you work. 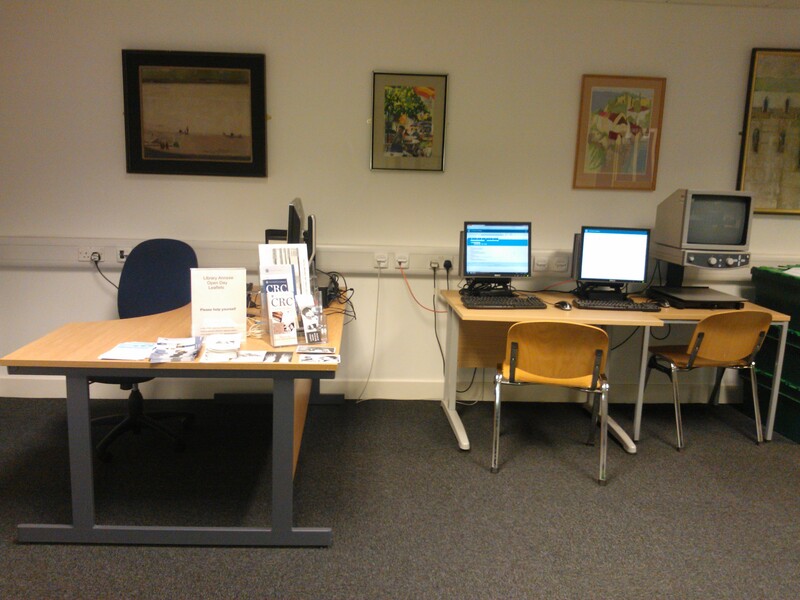 The Annexe has two comfortable reading rooms and we can offer visitors use of an open access PC, a microfilm reader and an OPAC (Online Public Access Catalog) for searching items in the catalogue. 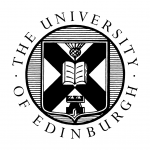 To arrange access to items from the Library’s Special Collections, University Archive s and Lothian Health Services Archive (LHSA) material stored in the Annexe, contact the CRC to first determine if a visit to the Annexe would be suitable. 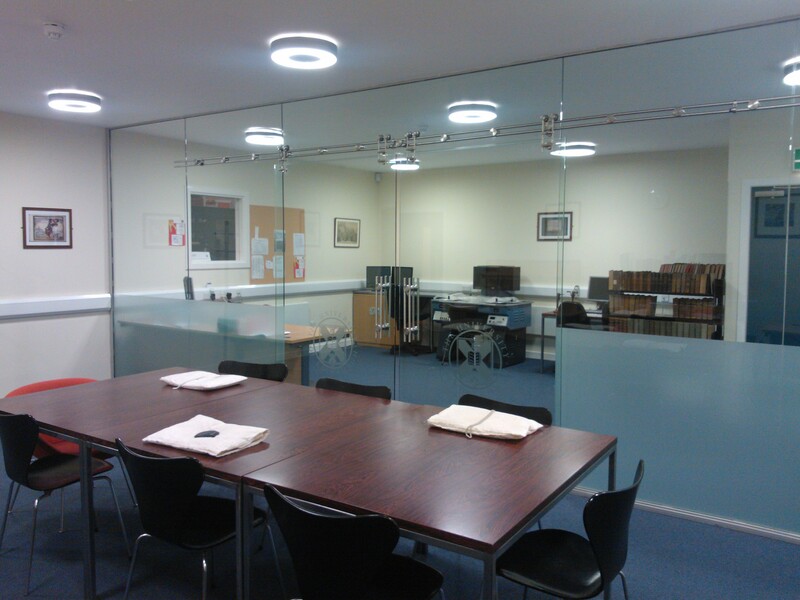 To arrange a visit to the Annexe to access any of the other material simply send us an email (library.annexe@ed.ac.uk) or give us a call (0131 651 1523) to discuss a suitable time. Despite our remote location out in South Gyle we’re relatively easy to get to either by the 2, 22 or 35 buses or by hopping on one of the regular trains that call at Edinburgh Park. You could even sneak in a visit to Krispy Kreme’s over the road while you’re out this way.